A majority of land that is used for public recreation across the country is owned and maintained by the Federal Government. Many areas popular for RVing in the winter months are scattered around the Southwest. Quartzsite happens to be surrounded by a large quantity of federal land where RVers can camp either for free or for a minimal fee. Quatzsite is a simple desert town with a permanent population around 3,500. 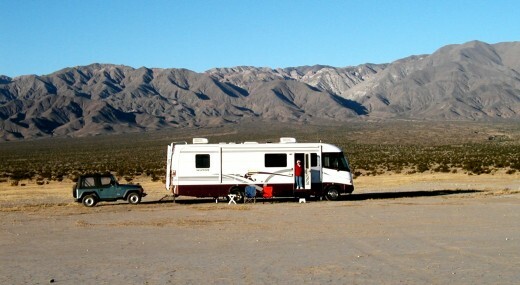 During the winter months RVers flock to Quartzsite to escape the cold weather. There are a number of benefits to wintering in Quartzsite, but the biggest is the affordability factor. If you choose to rent a spot at an RV park in town, expect the cost to be generally less in most other areas of the country. If you really want a good deal, set yourself up on some BLM land (Bureau of Land Management). You can spend the entire winter (up to 7 months) in one of the LTVAs (Long Term Visitor Area) for under $180. For a shorter stay you can pay $40 for a 14-day permit. For this deal you get access to an onsite dump station, a fresh water source, and trash dumpsters. If you want to save even more money, you can stay in any number of other BLM areas around Quartzsite for up to two weeks for free. Here you will find no resources such as fresh water,or a dump station. So, now your next question is probably, what do I need to bring? The answer is, EVERYTHING. The nearest Walmart is 40 miles away. To live off-grid in Quartzsite you are going to have to make your own electricity. For that, you will need a generator. 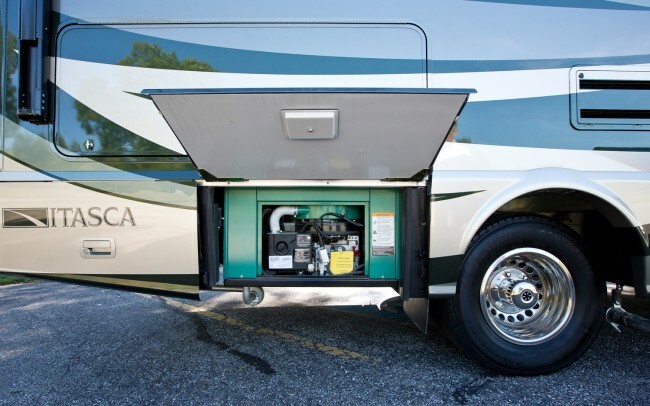 Most class A motorhomes are equipped with a standard on-board generator. This generator is generally powerful enough to run air conditioners and your other electrical equipment. In my experience, generators use a lot of diesel fuel and Boondocking is all about conserving energy. The use of such a large generator on a regular basis is costly and a waste of fuel. BUT! If you want to stay cool when the sun is beating down on your rig, a generator is a necessity. For those with motorhomes, fifth wheels or travel trailers without an on-board generator, consider purchasing a quiet gas generator to run all of your electrical needs except for your air conditioner (those babies need a LOT of power). Anyone who frequents the desert in the winter will realize that just a few solar panels can eliminate the need for a generator. It is more environmentally friendly, and a lot more convenient. You will no longer need to haul fuel. And you will also have a lot more peace and quiet. You can get your own solar setup for under a thousand dollars by purchasing a few 120 Watt solar panels and charge controller. For most RVers who have simple power needs, 200-300 watts of solar power will be enough. If you need additional panels you can add them at a later date. The rainfall and cloud cover around Quartzsite is minimal, which means there is more than enough solar power to harness. Remember: Solar panels work best when they are kept clean and tilted to capture the strongest angle of the sun. Don’t know where to start? Check out this article by the traveling duo Gone With the Wynns and watch their awesome and informative video. This is an even more cost effective way to add a higher wattage output to your battery. One 400 watt generator will replace several 100 Watt solar panels. The catch is, though, that the wind needs to be blowing. Arizona is known for having bright, sunny, weather. However, there are very few windy days. Wind generators make a great addition to a solar-power system and help avoid using a gas operated generator. To learn more take a look at this Air Breeze Wind Powered Turbine and watch the helpful video below. There is a dump station in the Long Term Visitor Area. However, with a lot of other RVs in the area, you will have to wait in a long line to empty your tank. You will also have to break camp to move your RV to the dump station. 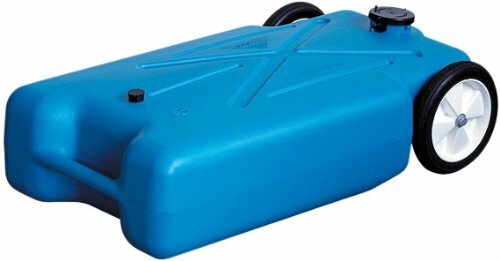 A lot of people bring along portable waste tanks known as Blue Boys. These containers allow you to empty your onboard tanks and transport the waste to the dump station without disturbing the campsite. Your waste tanks can also be emptied in town for a small fee. The advantage to this is saving time by not waiting in long lines (except maybe at peak times such as during the RV Show). Another option is the use of a roving honey wagon that travels through the camping areas. They come to your door and for a small fee take care of emptying your tanks. 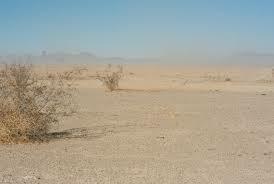 The main thing people like about Quartzsite is that it is inexpensive for everyone, even those on a tight budget. The desert and dust go hand in hand. If you plan to live off-grid you will need to embrace the dust. Here are a few tips to help you keep things as clean as possible. Cover all your vent openings with inexpensive air conditioner filters and tape. Place these everywhere possible, particularly on anything that draws in air. Tape over the RV seams and windows. Wax your RV prior to parking in the dessert. This will help the dust blow off. You can also do a speedy wipe down around your rig whenever you have time (daily is a good practice). Cover your inside upholstery with sheets, blankets or sofa covers. You can easily remove the covers and wash or shake out as needed. If air conditioning isn’t an option why not create your own swamp cooler? A swamp cooler adds humidity to your unit and can be made from scraps. This 5 Gallon bucket swamp cooler can be solar powered if required. It will also keep down the dust in your unit. Remember, a swamp cooler is perfect for the dessert, but not recommended for boondocking in humid areas. This example in this video requires only 15 watts of power to operate. 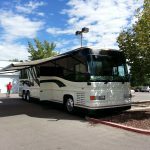 Smart shopping is the key to saving money while boondocking. You must think ahead. Purchase items that can be kept both inside your RV and outside your RV in plastic bins. Meal planning is essential since space will be limited. To keep things easy consider using a solar oven outside to keep your rig as cool as possible. 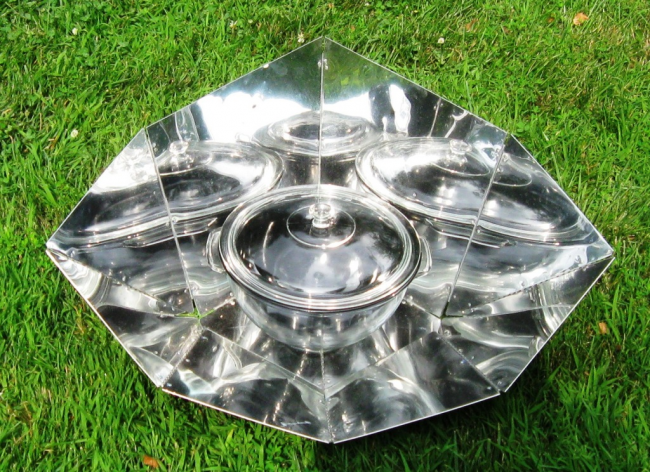 There are many options for solar ovens and you can evn make your own for minimal cost. Combine baking mix and water to form a soft ball. This will take a bit of effort. Smooth the dough ball onto a floured board and knead about 5 times. Place the dough into the bottom of a 9-inch dark metal pan. Make sure the dough is pressed into fit. Bake the dough for an hour or so in your solar oven. Remove when brown. In a separate dark metal pan, bake the ground beef, and onions seasoned with salt and pepper. This will also take around an hour. Remove from the oven and add 2 more Tbps of baking mix along with the Worcestershire sauce. Toss into the meat. Pour the meat onto the baked crust (after draining any remaining grease). Mix eggs, cottage cheese and shredded cheese together and pour over top of the beef. Cover and bake in solar oven for 1 to 1 1/2 hours. Boondocking can be simple and comfortable for months at a time. It is a matter of how prepared you are, and how conscious you are in saving your resources. You do not need a full hookup to enjoy nature. You can live off-grid and enjoy all that Quartzsite has to offer. What do you think? What other suggestions do you have for someone boondocking in the desert? Add your comments to the space below. Share these tips with your RVing friends and ask them to add their tips and tricks to the comments below! Let’s get the boondocking conversation started!